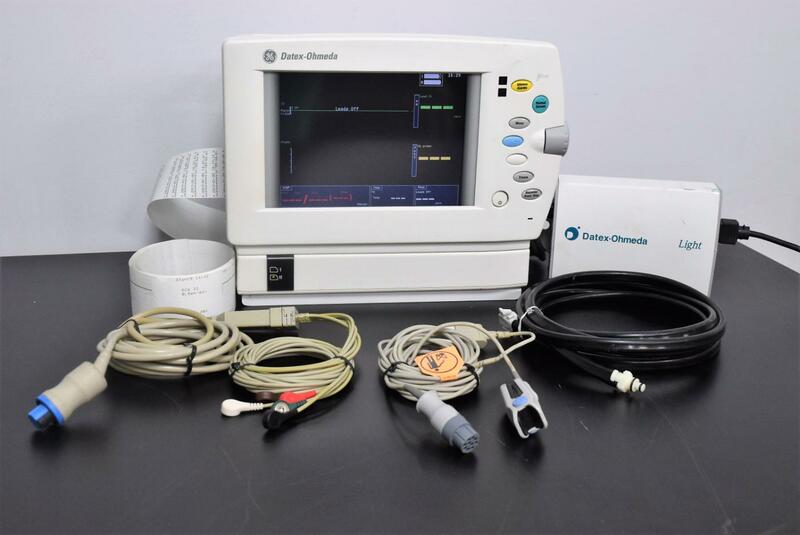 GE/Datex-Ohmeda F-LMP1-03 Cardiopulmonary Patient Monitor System . New Life Scientific, Inc. Technician believes this may have come from an Anesthesia machine. The Sp02 sensor was tested and found to be in good working condition. The battery pack is weak and will need to be replaced. Our technician confirms the monitor to power on and received a positive test on the SpO2 sensor. The ECG did not come with sensor clips so it could not be properly tested. The battery pack is weak and will need to be replaced.